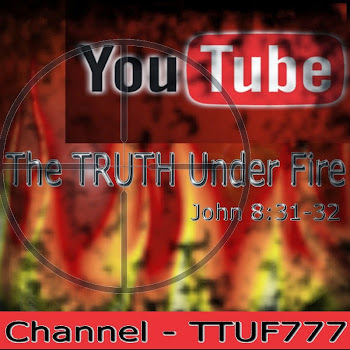 Note: This teaching at The HOUSE of TRUTH fellowship is now posted on youtube.com and may be viewed on video here. The awesome power of creation, solely the purview of God the Father, the Son and the Holy Spirit is something we can witness, at least in part, on our planet, our solar system, and from images taken by far-reaching satellites and radio telescopes sights and macro-cosmic wonders of galaxies beyond our imagining. We also observe the creation of God with microscopes, electron microscopes and other instrumentation whereby we can perceive the microcosmic universe. Whether in the vastness of the heavens, or the intricacies of the infinitesimal, God's handiwork is an incredible work to behold! We've measured our Milky Way galaxy and its estimated to be around 100,000 light years across. Light travels at more than 186,000 miles per second; there are 31,536,000 seconds in a year. So the distance that light can travel in just one year is: 5,865,696,000,000 miles. That is the distance of just one light year. Multiply that figure of almost 6 trillion by 100,000 and that's just the length of the Milky Way, which doesn't even come close to expressing its total mass! In our universe, the Milky Way is by all accounts one of the smaller galaxies, comprising of as many as 400 billion stars. Andromeda, our nearest neighboring galaxy is a little over twice the size of ours. At an average, galaxies measure any where from our size to 10 times or more the size of our own! How many of these galaxies are there in the universe? Astronomers 'guesstimate' that there are 100 billion of them – just in the observable universe alone (not counting the ones we can't see!)!! And “GOD created the heavens and the earth” - the Hebrew word used in Genesis for “create” is barah, and it means to create out of nothing! Do you think GOD has enough power on hand to solve your problems, your debts, your lack? Scriptures talk about the creation account in Genesis, as well as in some passages out of Job, Isaiah, Psalms, and a few references out of the New Testament like the one we just read out of Colossians. But that's about all. Besides God's creative power, what else can we talk about? His redemptive power, through the Person of God the Son, Jesus Christ, the Word made Incarnate. How much of the Bible is about God's redemption? Doctrinally speaking, you'd be hard pressed to find any of the 66 books of Scripture's canon that doesn't talk about redemption in some fashion! Look at the variance between what Scripture says about creation vs. what it says about redemption! Anyone can tell what's really important to a person just by listening to them; what ever is most important to them, they're going to talk about a lot. It's the same with God's Word; we know that between His creation and His redemption, its His redemptive work that far exceeds His creation in importance! Another way we can measure how important these things are to God by what it cost Him: How much did it cost Him to create the universe? He merely spoke it into existence! Once He does away with the old Earth and the old Heavens as it talks about in ISAIAH 65:17; 66:22 and 2 PETER 3:13 and REVELATION 21:1 He is going to create a new Earth and a new Heavens (And where we didn't get the opportunity to see Him do His stuff the first time, the church of Jesus Christ will witness His second creation in all of His glorious ability! Can't WAIT!). But what did His redemptive work cost Him? The death of His own beloved and begotten Son! Would you say that His work of redemption is more important than His work of creation? 23 For the wages of sin is death . . .
21 For he hath made him to be sin for us, who knew no sin . . . But we see Jesus . . . for the suffering of death . . . that he by the grace of God should taste death for every man. We like the idea of power, but not so much this idea of suffering and death; but that is the order of things in God's Kingdom; Christ was offered up as a suffering sacrifice and died for our sins, and has left us this example. As we die to self, sacrificing our self-will and things of the flesh, we allow Christ all the more to live through our lives! God declares that its not by any earthly powers or might but by His Eternal Spirit that we receive His anointing for ministry (ZECH 4:6). The Spirit imparts eternal life and power to us so that we through Christ, are enabled to mortify the deeds of the body (put to death the sinful impulses) and be led by the Spirit – by these attributes we know that we are the sons of God and that we have eternal life having placed faith in Christ (1 JOHN 5:13). The Spirit is given so that we may mortify – put to death – the impulses and drives of our sinful nature (GAL. 5:24). The Spirit is given as an “earnest” that is, a down payment, to dwell in us and enable us to walk with the LORD in His ways (1 JOHN 2:6) “until the redemption of the purchased possession” that is, when we receive our glorified bodies with the absence of a sin nature (ROM. 8:23). The Spirit is also given so that we may bring forth the fruit of love to be dispensed by grace to brethren and enemies alike (GAL. 5:22-23) and empowers us to live and love by the life-giving Spirit (GAL. 5:22, 25). Think about those wages of sin that is death-causing. The single sin committed by any human being would be more than enough to incur eternal death. Even more so an entire life time's worth of sin. What about the cumulative sins of two people? Or a neighborhood? Or a city or nation? What about all the sins of the entire world? How about all the sins of the entire world, through the entire history of the world? How much death are we talking about here? That's the length and breadth and height and depth of sin and death that Christ took upon Himself; He wasn't merely dead, He was 'mega-dead' as it were. Yet the Spirit raised Him from the dead, and not merely restored life, but all of the power of an endless life! It's that kind of power that shall also "quicken" those of us who believe on Jesus Christ Who is Himself the Resurrection and the Life (JOHN 11:25-26). I don't think we fully realize the depths of this truth, nor do we truly understand the magnitude of the power of the Spirit Who dwells in us! How different would be our lives if we were to mortify the sinful nature's actions that so easily staunch the work of the Spirit in our lives, by the enabling grace of God! Power – the word is dunamis in Greek and its where we get the words dynamite and dynamic from. It is a power that once let loose brings about an extraordinary change both within and without us. In this passage the power is used to make us able witnesses for God; witnesses of the Truth, witnesses of the Gospel, of Jesus Christ, of the changed lives we have experienced as a result of all of these. The word for witness here is martos; its where we get the word martyr from and this is very telling when you couple this word with dunamis. The LORD by His Spirit enables us to be such effective witnesses by His power that we will affect lives throughout this fallen world of sin which is under the oppressive dominion of Satan. The great enemy who is the god (ruler; 2 COR. 4:4) of this world, will not stand idly by as we seek to empty his kingdom of darkness of its prisoners; he will go on the offensive and do his worst in the persecution of the witnesses that God is raising up. Yet the power of the Spirit is such that, if we yield to Him, not only shall we endure such persecution, but we shall leave the arena of battle as victorious overcomers. Its been said many times before, that “the blood of the martyrs is the seed bed of the church”. In other words, any where there has been such dire and anguishing persecution in the world, those who were willing to die for their faith, even willing to endure torture and never deny the LORD that bought them, exhibited such power in holding fast “the faith that was delivered” (JUDE 1:3) that others, even the persecutors of these, came to faith in the LORD Jesus Christ!! By the power of the Spirit we stand boldly against all opposition with a ferocity that can only come from God Almighty. Consider the apostle Peter, who prior to the crucifixion of our LORD cowered before servants of rulers; even a young girl, when they confronted him as being one of Jesus' followers. He even denied the LORD three times when he vehemently insisted to Jesus that he would never do such a thing! 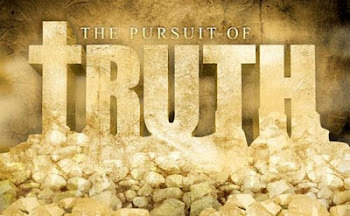 The other aspect being the Spirit-enabled power to live a godly life which cannot be denied even by any accusers who would diligently look for faults, sins, crimes and find nothing; thus the need for false witnesses. If you consider the beginning of the church, how she was born into such a hostile environment as found in the Roman Empire, and hostility particularly against those who would refuse to pay homage to 'Caesar as Lord' and give the obligatory offering of incense to shrines that adorned the land every where; Christians were faithful to their LORD Jesus and denied Caesar such worship from their lips and they were tortured, martyred and killed for their faithfulness. That is a power beyond any human ability and its a power of the Spirit that we are in need of today in America, in preparation for the persecution that is probably a short time ahead of our collective experience. And yet I wonder: can the church here in America that is given over to carnality, to excess, given over to the love for this world, that is living a compromised life expect to endure such a time? A church which is so 'clogged up with carnality' that the Spirit cannot manifest with the power that He would like to? We require purging of carnality, we have need of sanctification, and to flee sin and follow righteousness and be greatly used by the LORD in such days as these! He stood before them all, and acknowledged his sin of weakness in signing those damning documents with his own hand. ~ By a simple rod held in Moses hands, God defeated all the power of Egypt (EXOD. 4:2). ~ Samson, a Judge of the nation of Israel thwarted all the armies of the Philistines with the jaw bone of a donkey (JUDGES 15:15). ~ The Champion of the Philistines, one of the five sons of Anak, Goliath – a giant of over nine feet in height was cast down by a small stone, slung in the sling shot of a shepherd boy who would be King of Israel (1 SAM. 17:40). ~ In dire and life-threatening drought in Israel, the pronouncement of rain began with a small fist-sized cloud (1 KINGS 18:44). ~ The LORD Jesus declared that it took only a small mustard-seed sized faith in the Almighty God to move mountains (MATT. 13:22). ~ As many as 20,000 people were fed when just five barley loaves and a few salt fish were brought into the hands of the LORD Jesus (JOHN 6:9).